What’s in a name? Sometimes the simplest labels carry the largest of subtexts. Just this past weekend, The Best Man Holiday premiered and showed the 13-year old franchise to be a powerhouse in cinema. But just as the movie was making headlines for its box office take, USA Today was stealing its thunder by calling it “race themed”. The claim seems innocuous on the surface. The cast is almost entirely black. The movie seems targeted towards a black audience. So, what’s the big deal? Well, the movie isn’t about race. That’s not a “theme” in the movie. It is not about black people interacting. The movie, like so many others before, is about people living their lives in relationships with other people who just so happen to be black (and white). There is a difference. The experiences, challenges, and character types are not uniquely black. They are universal. And what this really points to is society’s need to separate and categorize, especially on a racial basis. “Black” movies have historically been pigeonholed in this manner in order to let the public at large know who the movie is for. It is as if the critics circle gets together and decides upon a single message to send out to the public: “For Blacks Only”. Like a cinematic “separate but equal”. But just as foolish as that was in American history, it’s incorrectly applied here also. This labeling comes with a host of assumptions about character types, film quality, plot, and appeal. We are made to believe that the characters will fit into preconceived stereotypes; the men will be gangsters, baby-daddies, or athletes and the women will be jezebels, mammies, or sapphires. The storylines will be mostly superficial or only relatable to black America. It’s FUBU (for us, by us), and all others need not be interested. All of this is a mirror of the racial issues that America faces today. If you take a look at the bulk of films that are produced today, black faces are few and far in-between. If you’re not Denzel, Halle, or Samuel, you just aren’t getting much play. This is why black film is so important. Black film is necessary not just for keeping black actors employed, but also to better paint the landscape of what America really looks like. Ironically, it is black cinema where we are finding the most diverse casts. If only mainstream Hollywood would take notice. The good news? America is pushing back against this practice with their wallets. Tyler Perry’s movies continue to be huge money-making successes, despite the critic hate. The advent of the “slave movies” has churned out numerous monetary and critical successes. And even though black people tend to go see these films in droves, let’s not kid ourselves into thinking they are the ONLY people buying those tickets. But will it be enough? Most say that the entertainment industry is fueled by the consumer. Companies will produce whatever content the most consumers are willing to pay for. When Avatar was a monstrous success, we all knew that there would be a push to make more of the flicks. When Anchorman: The Legend of Ron Burgundy and The 40-Year-Old Virgin were box office smashes, Judd Apatow had free reign to make any movie he wanted. Yet, somehow, the only black filmmaker to be able to get this same status has been Tyler Perry. And his movies continue to get perpetually panned. Spike had his heyday in the late eighties/early nineties. In the late nineties/early 2000’s we had The Brothers and The Best Man. And blacks are at it again now with For Colored Girls, The Butler, and 12 Years a Slave. But with all of those box office successes, it never sticks. 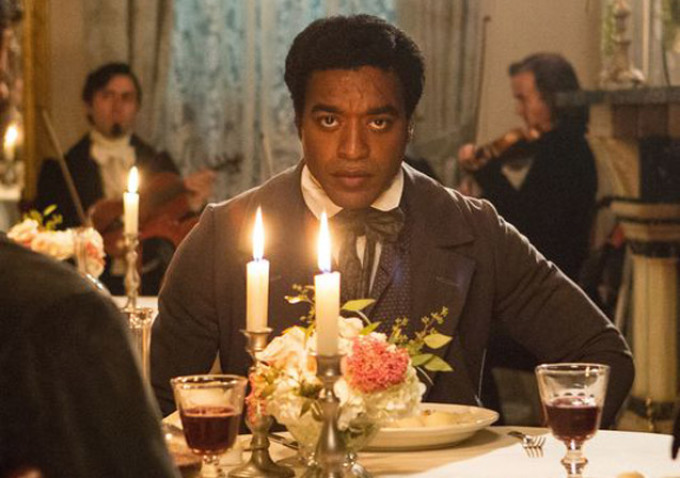 The Hollywood big wigs just aren’t clamoring for more black films. So will the cycle ever be broken? Well, things are looking up. The Best Man Holiday‘s performance already has people talking about a sequel. Tyler Perry is nearing a decade in moviemaking. Actors such as Jamie Foxx, Denzel Washington, Halle Berry, and Kerry Washington are held in high regard in the entertainment community while continuing to hold massive, multicultural fanbases. Still, in order for black films to stay relevant, we’re going to have to continue to invest in their production and fight for seats at the decision-making table. Eventually, the antiquated movie industry will have to catch-up. When we stop allowing films to be branded as “race-themed,” we’ll likely find that they are just as poignant, well-acted, and relevant as other mainstream movies. The Black Experience – as different from the White Experience as the LGBTQ, Latino, Asian, and African Experiences – is a part of the American Experience. USA Today fumbled that one. Luckily, patrons saw the film in the light it deserved.